Now that all things Thanksgiving have passed, it's time to begin the truly busiest part of our year! Once these next few weekends start, we won't have much free time until January. Are you in the same predicament? It feels like we rush through the week to just to make it to Friday evening and then Sunday evening arrives like that... snapping my fingers. But in-between Sunday night and Friday life has to continue like normal for this family. Why should you keep your weeknights simple during the holidays? 1. It makes financial sense! During the holidays, it seems like money goes out much quicker than it arrives. How many unexpected or small gifts do you casually pick up? Or have a work party that you'd like a new outfit for? 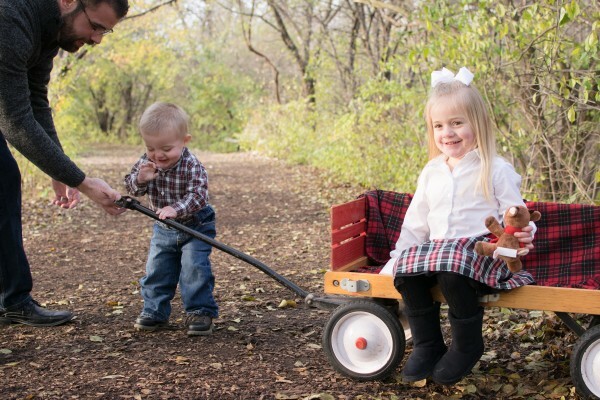 Or how about the super cute Christmas mini-session for personalized Christmas cards? Whew... I'm getting exhausted thinking about it. How to balance alllll of those out of the ordinary expenses? Consider eating in when you can. If you meal plan for the week, you'll save lots of money by choosing ingredients that are on sale at the grocery store. And you'll also be avoiding the fast food lines... gosh that is like $20 per trip for us! For unhealthy food... makes my stomach hurt in more ways than one. Does anyone else feel like holiday recipes are the best ever? Like how can you go wrong with combinations of cheese, potatoes, bacon, bread, and pecans? Or do you know the hostess who finds the best recipes on Pinterest? It's all so delicious and the best recipes come out in full force for party nights. If you're eating pretty fabulous dips, meats, and wine (oh... the wine! ), it may be smart for your health to eat simpler during the week. Think of it as a way to get yourself back on track and avoiding the risk of being a little unhealthy by January. How do we combat the over-indulgent weekends? Even if it super chilly outside, Jordan & I will plan for a baked chicken breast over a salad during the week. Or chili in the slow cooker the days when we want something warm but not gluttonous. When we plan for snacks for the week, we look in the grocery circular at the produce section to see what is on sale and is a healthier option. During the holidays, it's all about the rush. Load up the car, double check you have the right gifts, arrive, eat, be merry.... and repeat Saturday night. I feel like we are so stressed making sure everyone has the best time ever at every event. It's exhausting. You can sit with the kids and tell them the stories behind the ornaments that are just out of their reach (95% of our tree). Or you can bake those pre-cut cookies (no one will know!) and eat them after dinner when they are warm. Do you remember every family get together from when you were a child? I don't. But I do remember singing along to Alvin wanting his 2 front teeth in my long Laura Ingalls style nightgown. Or maybe it was the fashion style of the 90s. My sister and I would just keep rewinding that cassette tape until it was bedtime. Those are the best times. And we probably drove my mother crazy listening to that same cassette each night. She probably didn't have a clue that'd be what I remember the most. This post originally appeared on Our Home Made Easy.